Although lately I’ve been into fruit based desserts (some here and here), I’ll be honest and admit that nothing can ever take the place of chocolate. Of course, some chocolate can only be improved. Specifically, with the addition of peanut butter. That’s where these cuties come in! They look just like the real thing, but taste even better. I love that these can give me my chocolate + creamy fix instantly, and that they’re such a great size. And that sprinkling of salt on top? It perfectly balances out the sweetness of these treats, making them totally irresistible. 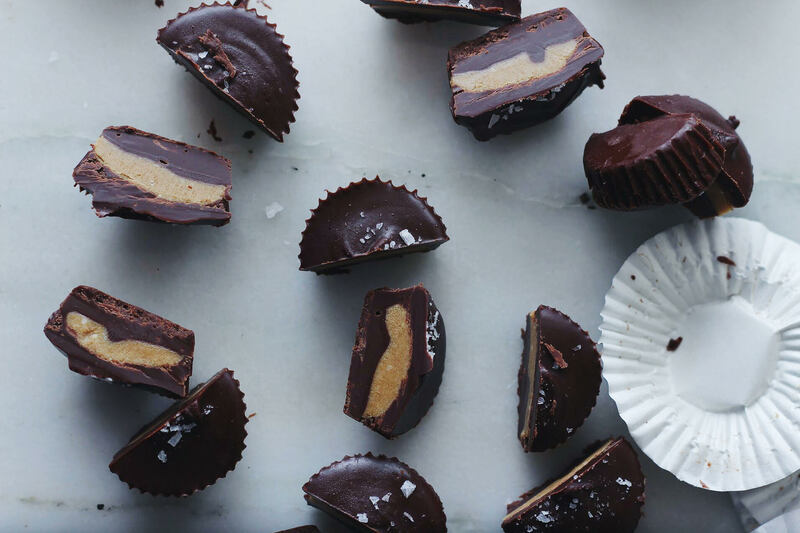 I’m seriously considering dedicating an entire section here on Retrolillies to peanut butter-chocolate sweets. What do you say?! In a medium saucepan, combine the peanut butter, butter and brown sugar over medium heat. Heat until completely melted and starting to bubble a little, stirring constantly. Remove from the heat. Add the powdered sugar to the peanut butter mixture ¼ cup at a time, stirring until completely combined after each addition. Set aside and let cool. Meanwhile, melt the chocolate bars and butter together in a pot until liquid-y and smooth. Use a heaping teaspoon to scoop out the peanut butter mixture. Roll it into a ball, and then flatten it slightly into a disk. Place on the prepared baking sheet lined with parchment paper. Once finished with all of the peanut butter mixture, refrigerate both the muffin tins and the peanut butter patties for about 30 minutes. 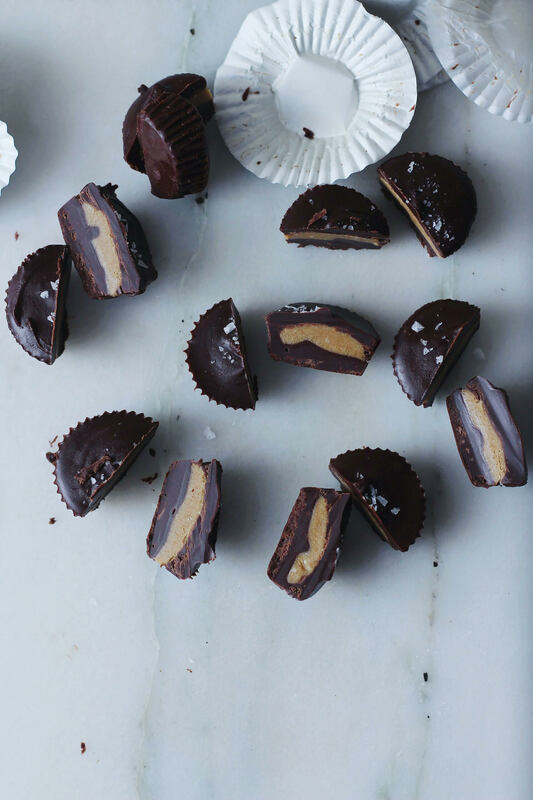 Place a peanut butter patty on top of each chocolate-lined muffin tin. Then use a scoop or spoon to add more melted chocolate on top and around each peanut butter patty. (If the melted chocolate has hardened, reheat in the pot.) Sprinkle each cup with flaky salt. Refrigerate again for 30 minutes, then they’re done! Store in the refrigerator or freezer. They keep at room temperature for a day, but any longer and they’ll soften. 08 May	This entry was published on May 8, 2012 at 11:47 am and is filed under Delectables. Bookmark the permalink. Follow any comments here with the RSS feed for this post. But they were rly good! i made them they look awesome and taste even better!! looks and sounds delicious cant wait to try it!!!!! Im so trying this, this is the meaning of RETRO!